Are looking for Python developer? Hire Python developers from axis technolabs we have expert team of python developer who are highly skilled in working with Python 3.7.0 and Django, Flask and Web2py frameworks to reduce 65% operational costs via robust, dynamic, scalable and secure web/ mobile based business applications. We develop Python Web application for enlarge enterprises which are suitable for large-scalable and , reliable, & secure at the same time. Hire Python developer from Axis Technolabs have strong experience in system migration and upgradation for unlock new features of system. Axistechnolabs providing Python Django developer and flask developer who are help you to build highly secured, robust, much valued python web application. Our Python web service developer build python web service and python restful API for scalable python web application it helps to access able postgre database. Our Python js developer expert for build python based data analysis tool for give accurate graphical and documented perfect analysis web based system. We work with odoo ERP platform we develop ERP development with core python programming as well as we work with all odoo modules. Our Expert Python developer team having strong skill and experience to build Python web crawler development for your python project needs. We build python based web scraper development to help you save valuable time from manual data mining work get easiest way to store data though python web scraper. Our cost effective hiring approach save you thousands of dollar and our Python developer and Django developer delivering quality work, contact us now. 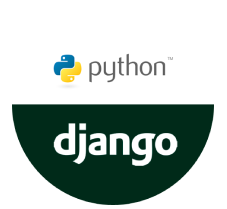 Why should you Choose Axis Technolabs python Development and Django company? Develop, implement & test custom python web application. Front-end development using different js frameworks. MVC design patterns and UI, UX design & development. Get Precise & quality testing for bug-free/crash free python deployments. Python developer for on-shore & off-shore development.